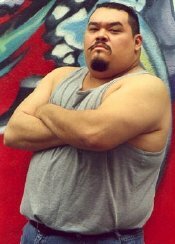 The fighting arts led Arce into acting. 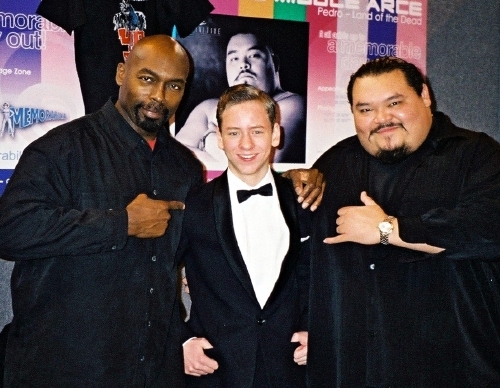 His roles have mostly been as bodyguards, doormen, bouncers and security guards. He has also appeared in commercials and TV shows like CSI:Miami (2004). 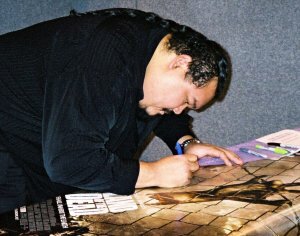 His most notable film role to date was as the Samoan, Pillsbury, in George Romero's Land of the Dead (2005). Pillsbury is one of Kaufman's henchmen, but he changes sides and joins Riley, the main hero of the film, played by Simon Baker. In 2006, Arce and 9 year old Aidan Gould were the only characters in Michael Olesen's 4 minute short The Red Balloon. 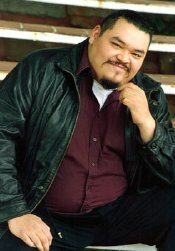 In 2007 he played Georgie Pulu in Are We Done Yet? and he will be seen in three more films due for release in 2008. Arce says that at present he is doing a lot of writing although eventually he would like to do more filmwork, both as an actor and director. Pedro Miguel Arce was born in 1976 in Nicaragua, later moved to Miami, Florida and then to Toronto in Canada. It was there that he proved himself to be a high class American football player, captaining the Neil McNeil High School team. After graduation, he joined the University of Toronto where he took up Jeet Kune Do, a martial arts system developed by actor Bruce Lee.